The vitamins in turmeric help to reduce the dark spots which appear as a side effect of sun light exposure. Turmeric also contains a fine anti-oxidant and anti-inflammatory material which helps to cure skin itchiness and skin ulceration. Seaweed is rich in vitamins and minerals which are needed by the skin. 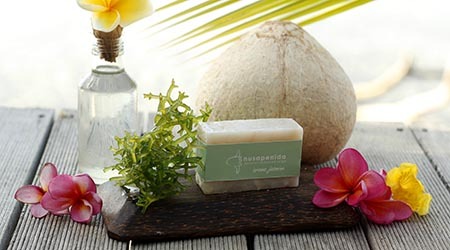 This soap is suitable for people who have a lot of activities under the sun light. This soap is suitable for people who have oily skin. 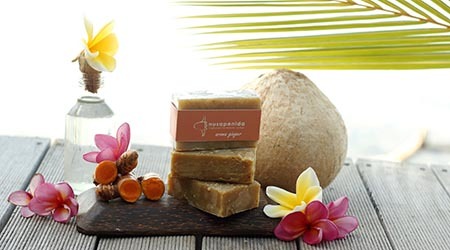 Substances in this soap are very good for reducing the dirt and oil from the skin surface. 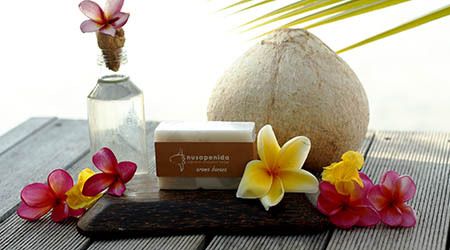 Enjoy the fun of a bubbly soaping experience using coconut soap. 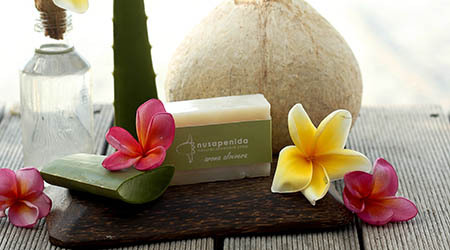 The minerals and vitamins from aloevera are suitable for sensitive and dry skin. Lignin from aloe vera can penetrate the skin and act to prevent the loss of water from the skin surface.